Wahoo!!! 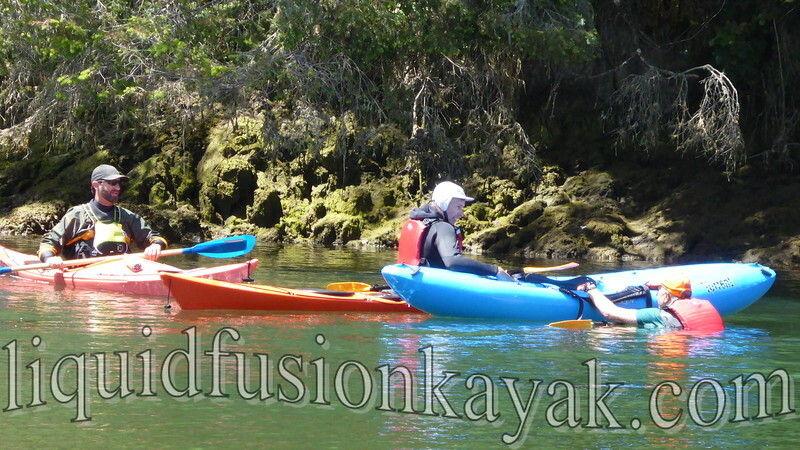 Liquid Fusion Kayaking has officially kicked off our spring and summer kayaking season on the Mendocino Coast!!! 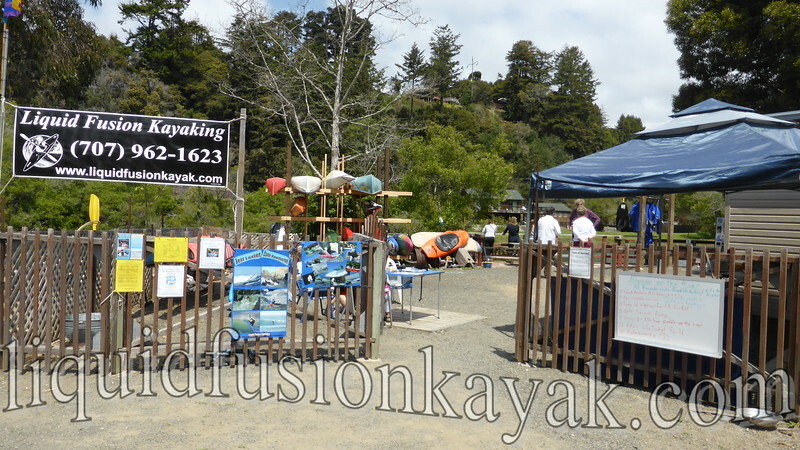 On Saturday, we kicked things off with Kayak Safety Day. 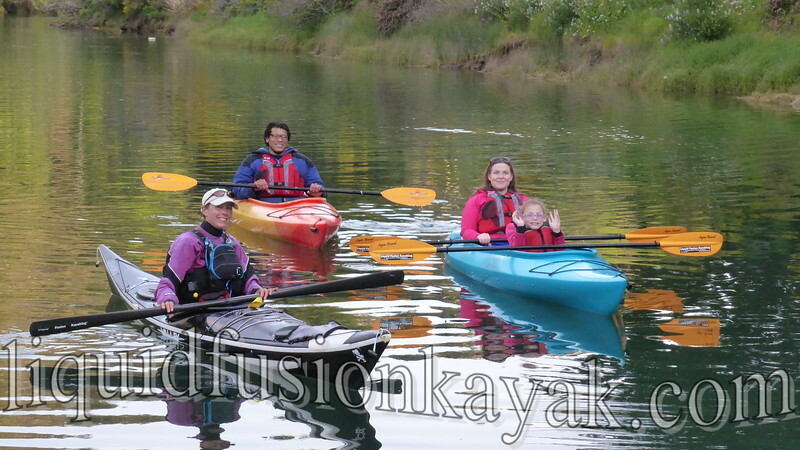 We offered this event for folks to come out and ask questions, check out kayaks and kayak equipment, support the Mendocino County Water Safety Coalition, and get out on the water to learn kayak safety skills. Those that participated had fun and learned a lot. We have to admit that we are a bit disappointed with the turn-out. 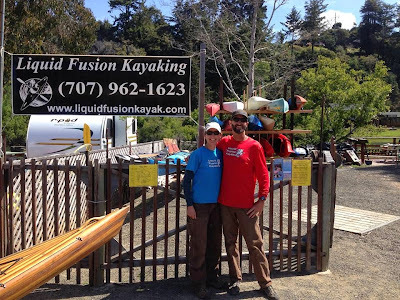 We know that there were a lot of other activities going on in the community but also realize the need for better out reach education to help paddlers and prospective paddlers gain the skills that they need to prevent a capsize and to help themselves and others in situations when a kayak has capsized. 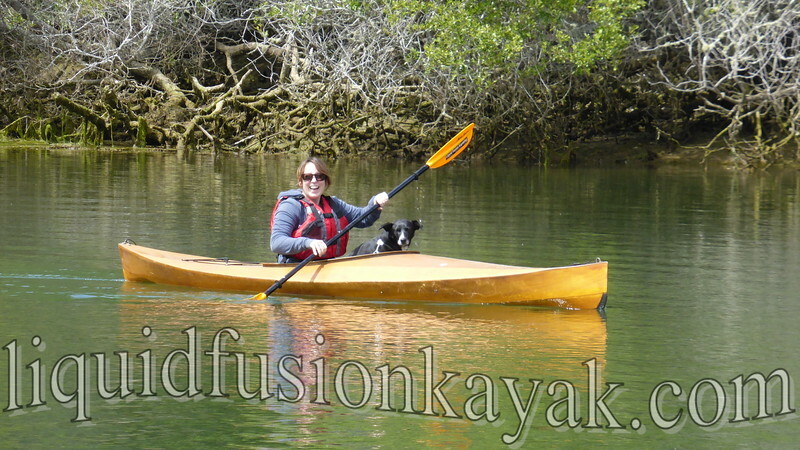 Saturday evening, Cate guided the first Sunset Bird Paddle of the season. It was spectacular. There was an evening glass-off (when the winds die down in the evening and the water is glassy smooth) and the wildlife sightings were spectacular including numerous kingfishers, great blue herons, osprey, nesting ravens, a sea lion, and even a green heron. 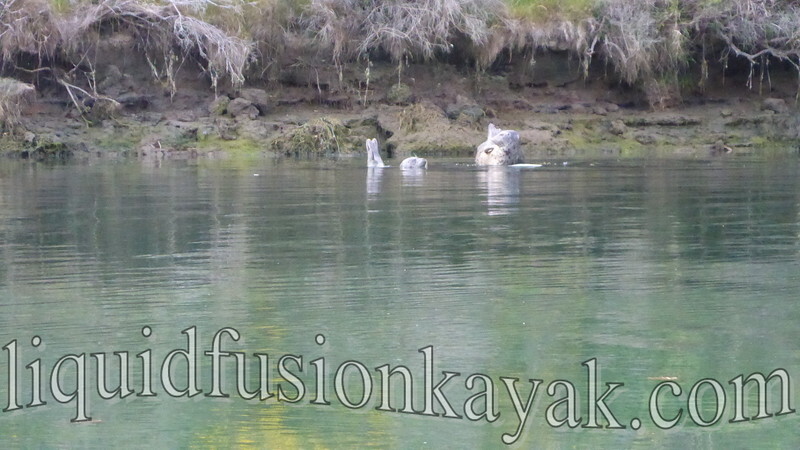 Of course a mamma harbor seal and her pup stole the show. 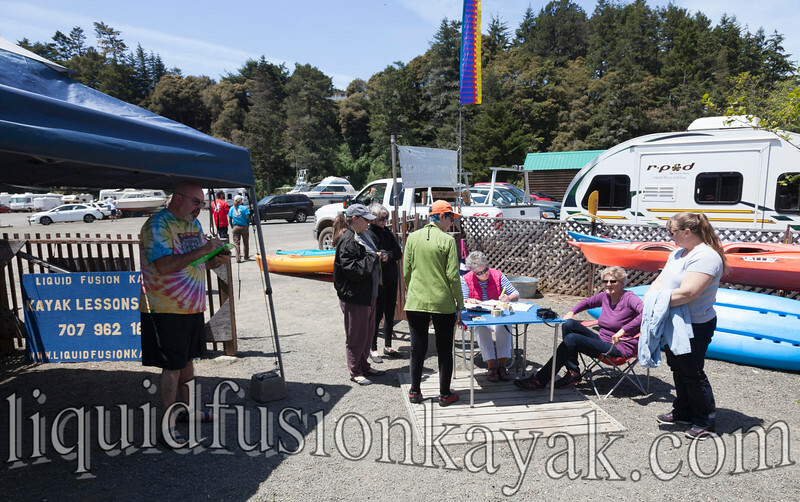 On Sunday, we hosted our annual Afternoon on the Noyo River - benefit for Books for Babies and Kits for Kindergarten. 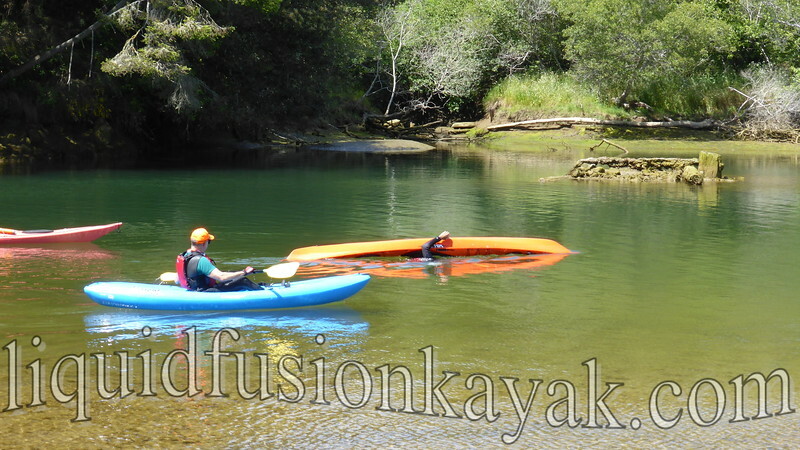 It was a beautiful sunny day with lots of folks coming out to enjoy the beauty of the Noyo River. Books for Babies and Kits for Kindergarten are early literacy projects of our local chapter of Delta Kappa Gamma International (DKG). DKG is an international organization of women educators. Ladies from our local chapter baked goodies and volunteered with registration, fitting life jackets, and even carrying kayaks and equipment. The sunny afternoon was enjoyed by both volunteers and participants and over $900 was raised for Books for Babies and Kits for Kindergarten. We are proud and excited to be a part of the Fort Bragg and Mendocino Coast Communities and feel really good about kicking off our season with activities for our community. If you missed our community events this weekend, mark your calendars for Monday Nights starting in June. 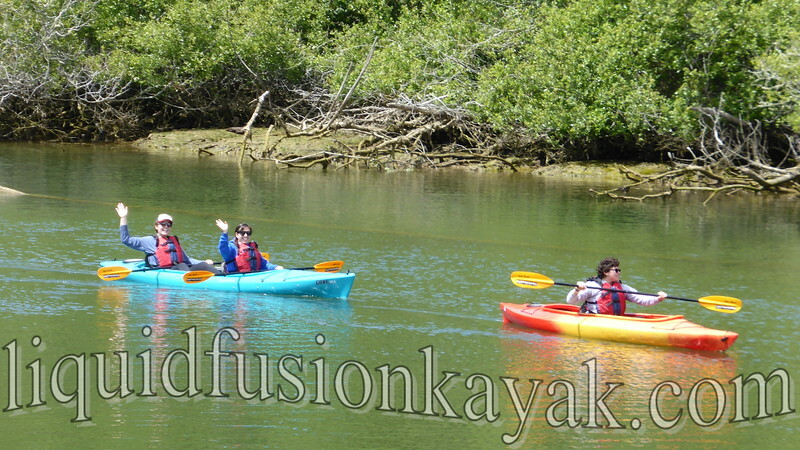 On Monday June 1, we will be starting our Learn to Kayak Series for Mendocino County Residents. We also are going to be starting our Monday Night Social Paddles. 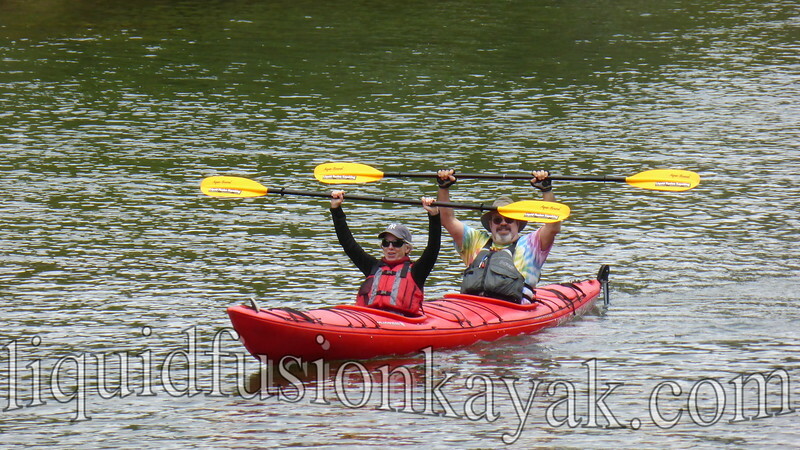 This is an opportunity for locals to get out on the water and meet other local paddlers.